We all know how the stress of planning a wedding can turn a glowing bride into a bridezilla in an instant, so we’re here to help out early. Have a look at our engagement party tips on how to plan and create your engagement, and turn your dreams into reality. Depending on the length of your engagement, you might throw a party anywhere from a few weeks after the proposal to six month into wedding planning. While an intimate and impromptu family gathering the weekend after the proposal is the perfect opportunity to break out the bubbly, don’t schedule an all-out opulent affair the first month. Give yourself some time to revel in your newly engaged status and absorb the fact you’re getting married before you jump into planning your first party. Waiting also gives you time to envision the guest list size, style and location of your wedding, which will help when deciding on the type of event you want to throw for the engagement party. In some instances timelines may apply when it comes to celebrating your engagement, if it happens to take you a little longer than three months to get your head around your sparkly new stage of romance, don’t stress. Those who love you won’t care and will celebrate with you anyway! If you’re a sentimental type, then the last thing you’re going to want to worry about on your big night is if those special moments are being captured. Hire a photographer and leave it to them, enjoy your night and look forward to having the memories waiting for you at the end of the night. Set up a drop box or Google document and keep to it. Itemise your vendors and break down your costs against your budget. Note whether the vendor has been booked and confirmed. For parties outside of home, make a list of absolutely everything you need to cart to the venue (including often forgotten essentials like sticky tape, scissors and even aspirin). Number the boxes and make yourself a list so there is no last minute “where is the guestbook pen”. Write up every task that needs completing (hanging lanterns, greeting caterer, passing around the guestbook) and delegate. The more organised you are, the less stressed you’ll be and the more you can sit down and enjoy. The Greek Club has a variety of function spaces to make everything easier for you. Katherine, our Wedding Event Specialist, will tailor your special day to perfectly capture one of the most special moments of your life. 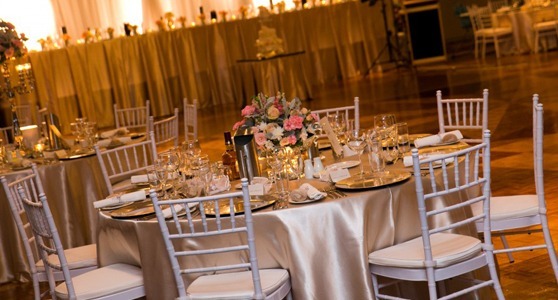 From small, intimate events to big lavish ones, we can cater up to 650 people. With menus to suit everyone, choose from modern Australian or Greek specialty menu, it will be a night you won’t forget.